The Best CRM Blog: Is Your Business Leveraging The Benefits of Cloud CRM? Is Your Business Leveraging The Benefits of Cloud CRM? Corporates in today's' digital world are moving away from brick and mortar shelves to online space. E-retailers like Amazon and Flipkart have bought in innovation in online space and caused a significant shift in business practices. They demonstrate why it is very important for businesses today to have an online space for significant economic growth. But, having a mere online presence is not enough for growth. You need to harness the power of CRM in online business domain. Every CRM platform worth its salt has an online sales management platform. This platform gives a considerable overview of your business in a single glance. It is very important that you get an understanding of how the CRM analytics process works. You should be able to create logical information from raw data, thus deciphering the graphs and other statistics. Contact lists are the fodder which you feed into your sales growth cannon. If you want to have significant online sales progress, you need to enhance your contact lists. These are vital in online and offline space as well. A well thought CRM strategy involves tweaking and utilizing the contact lists to the maximum potential. You can scour for methods to increase contact lists on your online CRM system. Online customer relationship management demands that you overhaul your system regularly. If you were managing your CRM in a traditional onsite manner, it is time to move on to cloud CRM. To save on costs and time, you should opt for a code-less architecture, like Shape-Shifting architecture as offered by CRMnext. A code-less structure makes your platforms agile, flexible and fast. You can also shift your existing platforms towards systems geared towards online sales automation. Online media goes hand in hand with social media. An interactive presence on the social platform will help your online business connect and establish rapport with customers instantly. You can also manage your PR through meaningful, relevant and true posts. You can spontaneously answer your consumer’s queries and even aid to spread the word about your services to a wide prospective lead audience. 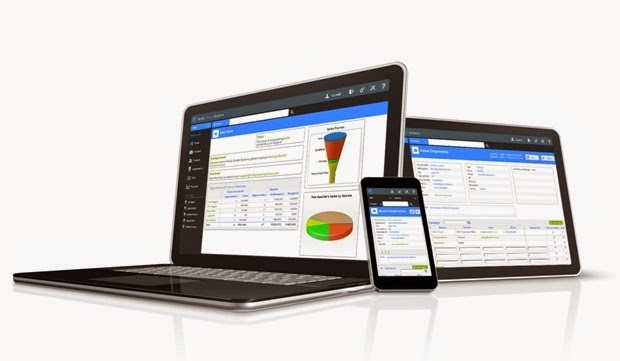 Make sure that your online CRM costs very less in terms of capital expenditure. They should offer free updates as part of their contracts. This will help you stabilize your maintenance schedule. In the case of online CRM system, your return on investment (ROI) should always be significantly higher than investments. Many cloud CRM solutions offer online platforms as part of a wider enterprise suite. The above five success mantras will help you get the most out of your online CRM space. Make it agile and dynamic enough to stay ahead in the cut throat competitive world of online business. A cloud CRM blog where brands find their recipe for growth!